Shannon Welsh has called Oregon home since the age of 5. For over 20 years she has promoted fiber, textile and apparel design through raw fiber development, regenerative agricultural production, textile systems revitalization and innovation, community organizing, outreach, and education. Shannon has spent over 3 years researching and reviving the historic linen industry of Oregon, and is the Co-Founder of Fibrevolution Bast Fiber Producers. 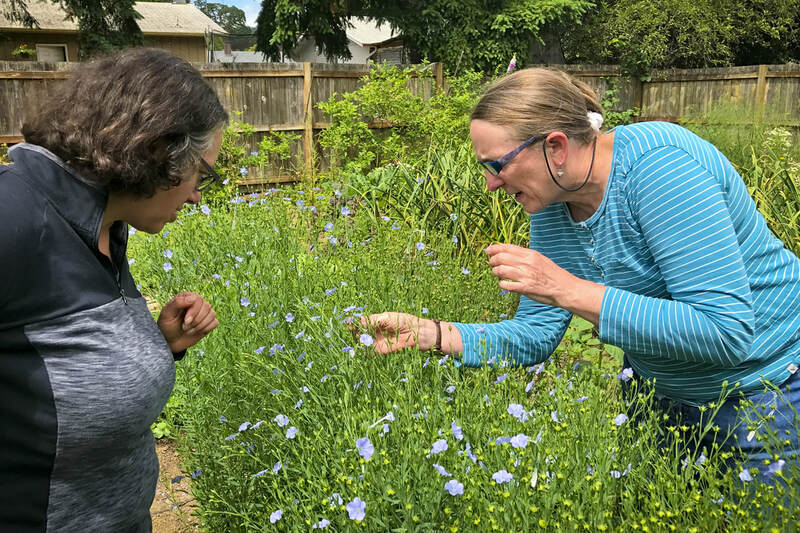 She is also the Founder and Director of Pacific Northwest Fibershed, a Fibershed Affiliate Program, which promotes the development of regional regenerative fiber systems that build soil and protect the health of our biosphere. Shannon has a BFA in Apparel Design from The Art Institute of Portland, a BA in History from Lewis and Clark College, and a Teaching Certification from the Association Montessori Internationale. ​Angela Wartes-Kahl has been an organic farmer for over a decade in the Coast Range of Oregon, at Common Treasury Farm. Her interest lies in local raw fiber development. Angela has grown fiber flax for several years and raises English Longwool sheep. 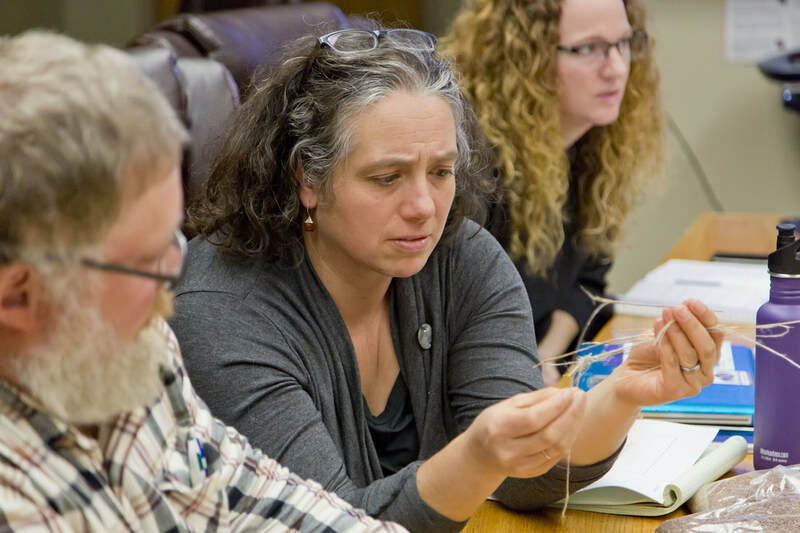 She manages the fiber and textiles program for Oregon Tilth, is an organic processing and crops inspector, and is honored to be on the Organic Trade Association Fiber Council. Angela studied Agricultural Science at Oregon State University, concentrating on fiber crops, textiles, and merchandise management. 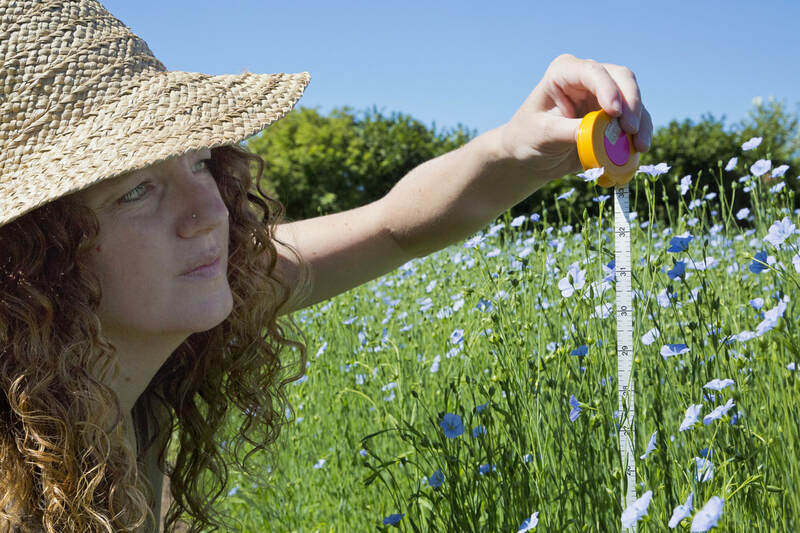 Jennifer G Kling is a Senior Research Professor at Oregon State University as well as an Agricultural Consultant. Jennifer’s current interest is in developing specialty crops for niche markets in Oregon. In 2012-2013 Jennifer was the Principal Investigator for the OSU Agricultural Research Foundation, in Breeding Dual-Purpose Flax Varieties for Emerging Textile Markets in Oregon. Jennifer G Kling has a Ph.D. in Genetics from North Carolina State University, a M.S. in Agronomy/Plant Breeding from the University of Nebraska, and a B.S. in Crop Science from Oregon State University. 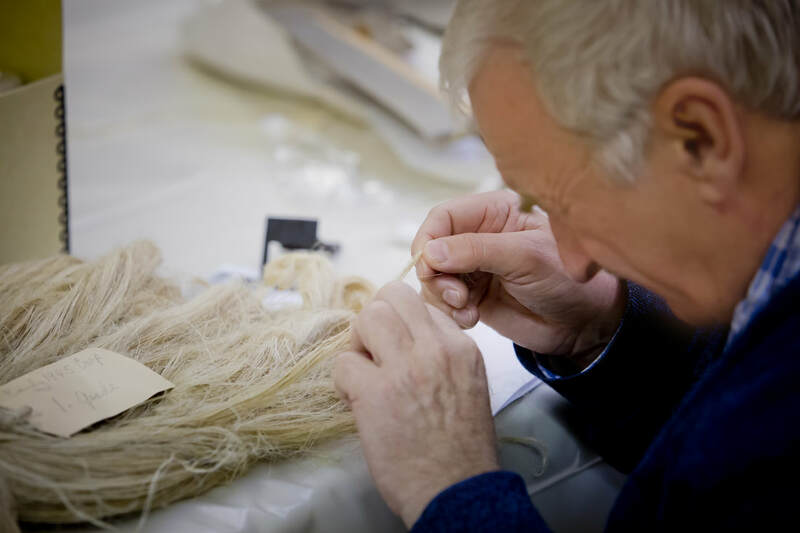 Biolin Research Inc. began as a research facility with the goal of producing value-added fiber from flax grown in the Prairie provinces of Canada. It has morphed into a privately-owned company, under the leadership of Alvin Ulrich, with the purpose of processing and marketing the products available from all portions of the flax straw. Biolin’s mission it to utilize 100% of the flax straw for commercial end uses so that the straw, traditionally burned or chopped in the fields by farmers, becomes a viable and profitable product, completing the natural recycle circle.